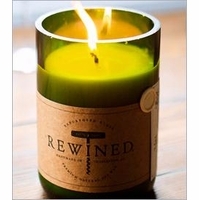 Rewined Candles works to turn discarded items into beautifully designed and functional products. The process is quite simple but their craftsmanship is extraordinary. 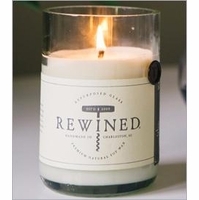 Rewined Candles does every step of their candle making process by hand while using the richest ingredients available. 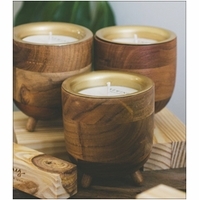 Each candle has been handcrafted from a repurposed wine bottle. 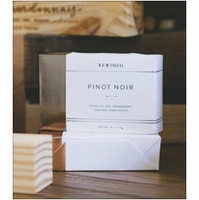 The fragrance has been carefully blended to mimic the flavors and aromas found in your favorite varietals of wine. Handmade in Charleston, SC using wine bottles collected from local restaurants.